Whether you watch it for the intrigue or ongoing relationship drama, one thing about “Bones” is clear — the characters function extremely well as a team. Like any group who solves tough problems together, they’ve developed effective teamwork. They didn’t get there by accident. Having watched the show from the beginning, I’ve observed a thing or two about how the writers developed this cohesiveness. Any time you have a group of people working on a series of important problems — in this case, murder investigations — it’s crucial to develop trust if your end goal is effective teamwork. The series opens with Angela and Brennan having a deep level of trust, whereas the trust between Cam, Hodgins, Booth, and the other characters comes after several successful cases with these people all leaning on each other for life and career. Whether you are teaming up to fight fires or educate a special needs child, everyone has their role to play. Do the best job you can, and trust that the other team members are doing their part effectively. Of course, this does assume that management has hired the correct people from the start. This is highlighted in the pilot when Bones irritates Booth by asking for personal information without disclosing any of her own. When you’re striving towards a long-term goal of continued, successful teamwork, having people who know each other intimately can contribute greatly to your success rate. I realize this isn’t a concept everyone is comfortable with, given the number of people who strive to keep their work and private lives separate. But it’s been my experience that any time you’re solving a problem with a strong focus on humanity, family health, or even animal behavior, for example, familiarity isn’t necessarily a bad thing. Team members don’t have to share everything, of course — TMI is a thing! What I am saying is that people often feel more comfortable working with others they know something about. They also appreciate knowing they’re working with real people and not professional robots. It’s only natural that in a team of diverse professionals each member will have a specific skill set that sets them apart. It may even have been part of the hiring plan to begin with. These specialties can play a crucial part in teamwork development and can even help define roles more concretely. In the case of “Bones” those skills include things like entomology and forensic anthropology. In your life, it might be graphic arts and internal security. The point is that while your job may require you all to be cross-trained with a certain set of base skills, there comes a time when you simply need to let each person do what they excel at and trust that you’ve developed your system correctly. Information flow is critical to effective teamwork and to the successful completion of almost any group project. 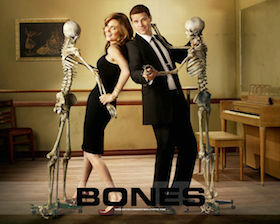 In “Bones” the end goal is to solve murders. In your career field, the desired outcome might be mechanical repair or the release of a new book. For example, in one episode Booth is kidnapped, and the kidnappers have demanded that a timeline must be met and followed in order to find him alive and well. The science squad at the Jeffersonian must communicate quickly and clearly with the FBI and among themselves as new information is uncovered. This aspect of teamwork actually comes up fairly regularly in the series. Since the group is made up of people with so many diverse skill sets, the ideas are sometimes all over the place, but it’s always interesting to see an example — however fictional — of how well the interdisciplinary model of problem solving can work. While I’m not a huge fan of meetings, they’re not all a waste. Sometimes five minutes of standing at the coffee maker to wait your turn can provide the answer that several people may have all been trying to find. What Makes Your Job Worth Doing? While it’s true that individual success isn’t usually the goal of a teamwork focused workplace, there’s nothing wrong with a little healthy competition. In the show, this comes out quite often in the King of the Lab contests Hodgins has with the various interns. At your office, it might be seeing who can close the most software support calls in a given week or having a bulletin board competition in an elementary school. While every teamwork scenario is different, these tips from “Bones” are ones that can serve a wide variety of situations. Do you have a situation at work that you feel promotes effective teamwork? Or one that doesn’t?